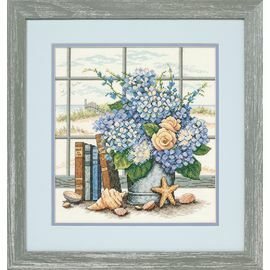 Imagine the sweet smell of hydrangeas mingled with the salty sea air as you gaze out over the ocean. 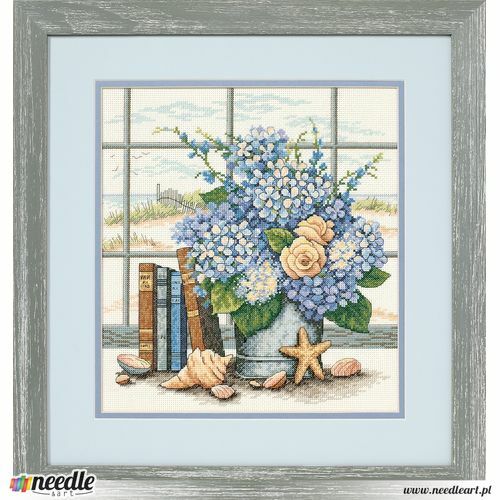 Stitched on 14 count white Aida, this tranquil design features a wonderful blend of full and half cross stitches to create a realistic scene. Kit contains the chart, 14 count aida fabric, threads, needle and full cross stitch instructions.